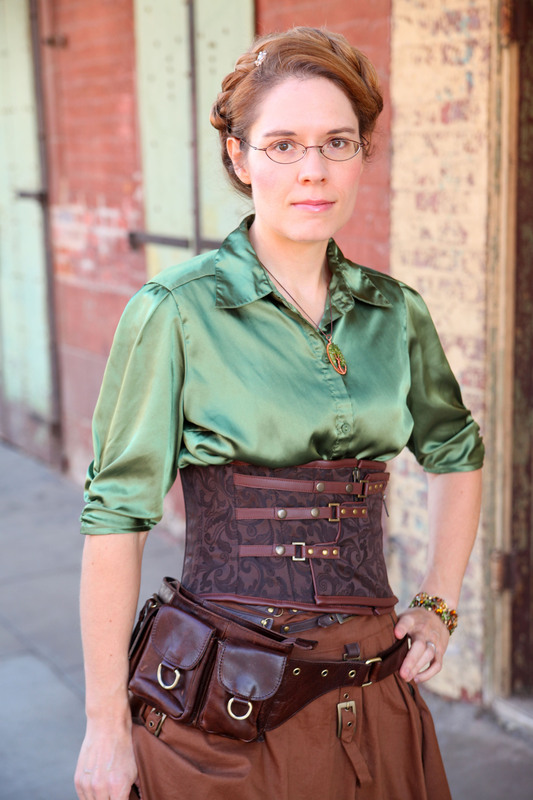 ﻿The debut author presents her steampunk fantasy novel about a young "medician," traveling her war-scarred world in an airship filled with magic, conspiracy, mystery, and a touch of romance. Orphaned as a child, Octavia Leander was doomed to grow up on the streets until Miss Percival saved her and taught her to become a medician. Gifted with incredible powers, the young healer is about to embark on her first mission, visiting suffering cities in the far reaches of the war-scarred realm. But the airship on which she is traveling is plagued by a series of strange and disturbing occurrences, including murder, and Octavia herself is threatened. Suddenly, she is caught up in a flurry of intrigue: the dashingly attractive steward may be one of the infamous Clockwork Daggers — the Queen's spies and assassins — and her cabin-mate harbors disturbing secrets. But the danger is only beginning, for Octavia discovers that the deadly conspiracy aboard the airship may reach the crown itself. BETH CATO hails from Hanford, California, but currently writes and bakes cookies in a lair outside of Phoenix, Arizona. She shares the household with a hockey-loving husband, a numbers-obsessed son, and a cat the size of a canned ham.